Are you managing to remember your reusable bags for every shopping trip? We failed on Monday, yep the very first day of charging. Just as well we needed bin bags! 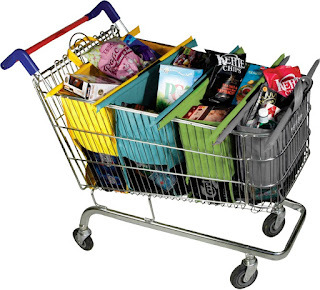 Luckily, we have the solution for you in these bright, colourful and spacious Trolley Bags. 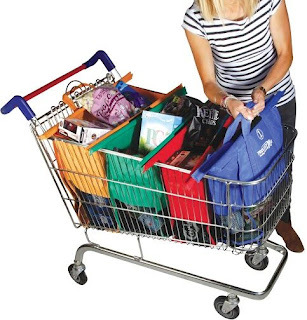 If you scan your shop as you go, just pop everything into your bags as you go round. Otherwise, at the checkout, pop everything on the conveyor belt, open up your bag quartet, spread them across the trolley, and you're good to sort and pack as you go. 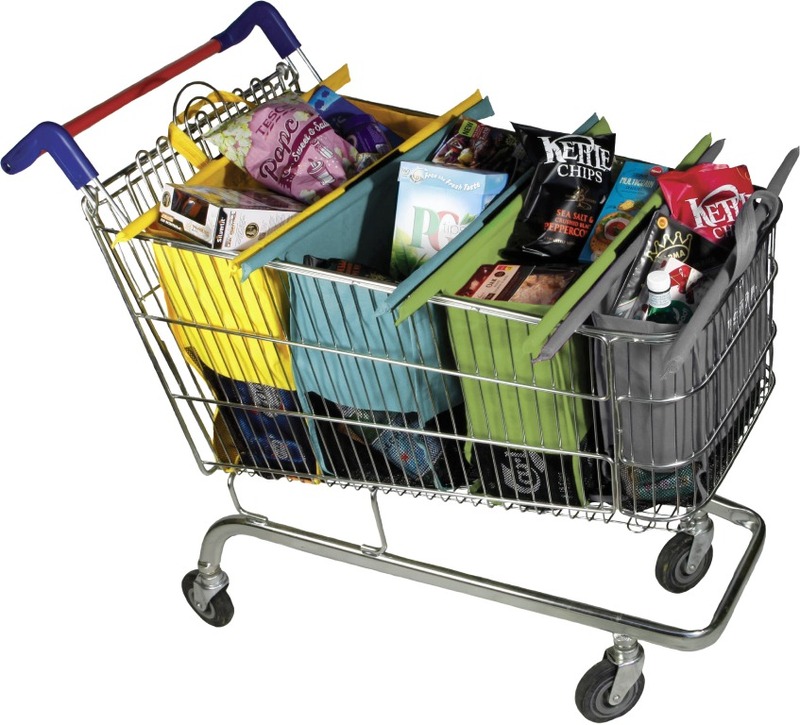 We tucked the smaller bag into the front section of the trolley and it fitted fine, easily fitting all those essential wine and juice bottles. 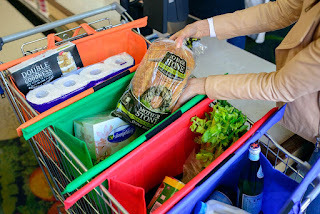 The colour-coded bags make sorting your shopping a breeze - no more trying to control what goes along the conveyor belt, when, and getting in a flap. Just put it through any which way and sort after its been zapped, into cupboard/fridge/bread bin/freezer/cleaning or whatever you need. Just remember to keep the bulky, light items to the bigger bags, and the heaviest items to the smaller bags. Then, when you get to the car, just separate the four bags and transfer each to the boot of your car, always by the handles not by the top bars. The bags can also be removed form the plastic bars and hand-washed when needed too. Such a marvellous idea! 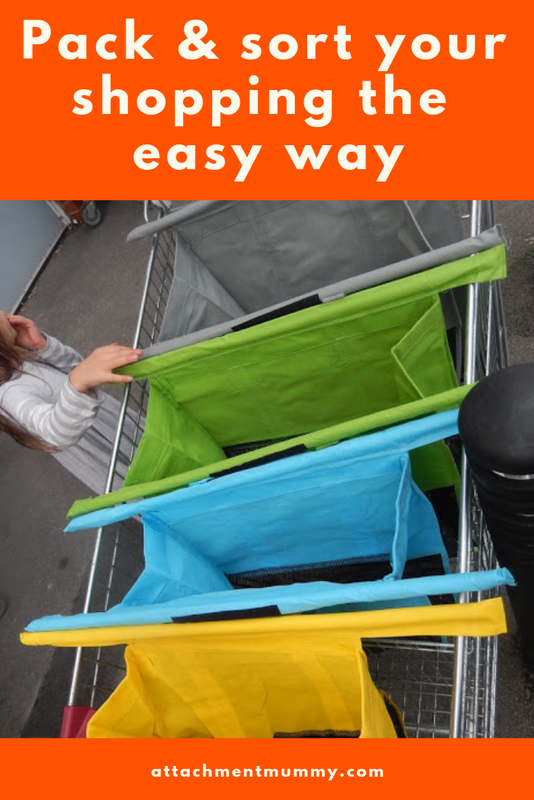 We easily fitted a big shop in the bags, and found it so simple and easy to use. Trolley Bags are available to buy in the UK, Ireland, Europe, the US, Australia and New Zealand. Perfect, just what I need fro shopping! !